Valerie: It is Tuesday 7th June 2016, and with great love and great respect we are calling upon Cosmic Sai Baba to make His Presence among us. Thank you. As I have said, we normally receive a transmission from Cosmic Sai Baba but he is asking me to receive another; and this is the first time I have been asked to make a change. And I don’t know if it is for a long time – or just for today. “I am Mikael, the Archangel Mikael and I come … … I come, because the Earth is suffering. And the people upon it are not looking after it. BECAUSE. I. WANT. YOU…TO…HEAR. AND. LISTEN. AND. PROTECT. YOUR. MOTHER. EARTH. THE. PLANET. YOU. CALL. EARTH. THIS. IS. MY. MESSAGE. PLEASE. LISTEN. AND. DO. WHAT. YOU. CAN. TO. SUPPORT. HER. TO. NOURISH. HER. AND. LOVE. HER. AND. CARE. FOR. HER. 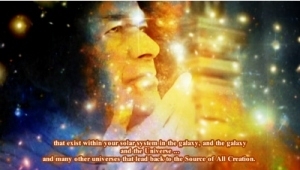 NB: You may wish to read (and listen to) the Transmission received from Cosmic Sai Baba when we were in France on the 7th July, 2015 , almost a year ago. Archangel Mikael urges us to support, nourish and love our Mother Earth. You may wish to participate in Sacred Earth 2016, on weekend of 12 June. It’s a worldwide meditation, prayer, upholding the Earth. Find out more here.